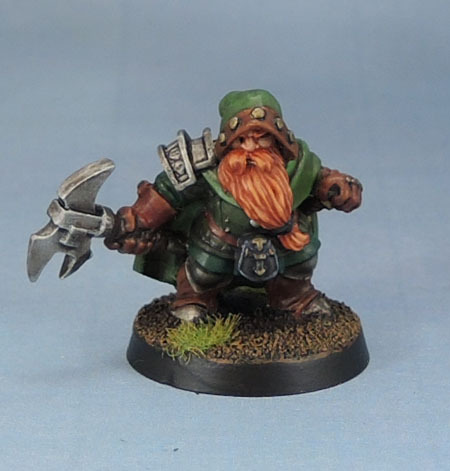 Dwarf Ranger | Azazel's Bitz Box. A couple of Dwarves to share today. These, like much of what I’m showing at the moment were painted during the latter months of 2016 when I was too busy to post. Basically, my free time was right down, so I spent a few months where my “hobby time” was spent painting instead of writing posts and following blogs and my “gaming time” watching YouTube videos before falling asleep for the night. 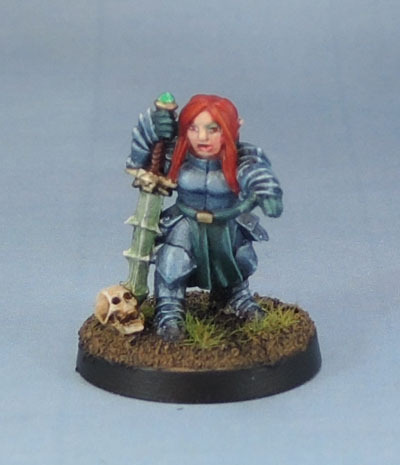 Reaper Miniatures really has some lovely models for wargamers. We all know that their bread and butter is the D&D/RPG crowd, but the effect that this has for the wargamers is that their models tend to have a lot of character to them, and so make great low-level heroes, individuals and unit leaders (as long as you don’t mind some uniform variation amongst your usually-quite-uniform plastics. Since I’m an old grognard and love my old metal models this isn’t a big issue for me. On the other hand, they’re not especially cheap. They’re not expensive, or anywhere near the prices of GW’s hero models mind, but if you were looking to make a unit of Reaper metals, well, they’re not so cheap as to make that an easy option. When it came to the figure, I of course got the slotta version, so he fit in immediately. Anyway, with his wrench shaped axe and hooded cloak, he could easily go in any of several directions as far as paint goes. 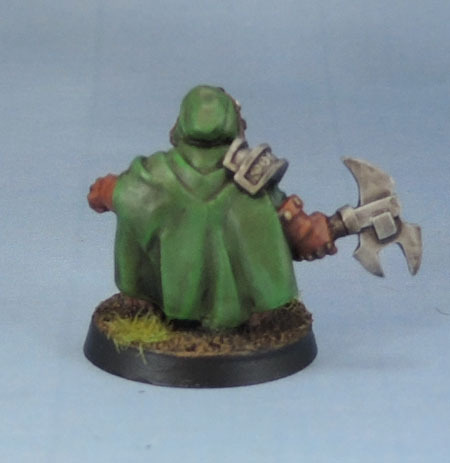 I chose for reasons unknown to me to go with the “ranger” look and painted him with a series of naturalistic colours – a series of greens to give him some variation and red-browns to give the model a nice rich tone. 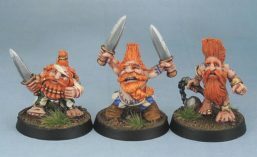 I have a box or two of AoW’s dwarf rangers somewhere, so one day he’ll no doubt lead some of them. He did get a great ginger beard, since I felt that fit the sculpt and palette nicely. Stonehaven’s sculpting is a little uneven, but many of the figures have a definite old-school charm to them. I’ve shared a few of them a little while ago, and will have more soon as well. They’re clearly also going for the D&D/RPG market that Reaper aims at, but that’s ok by me, and I’m sure it’s fine with roleplayers, who obviously have an absolutely huge range in what their characters look like. This model is their Anti-Paladin (Death Knight, Shadow Knight, etc). 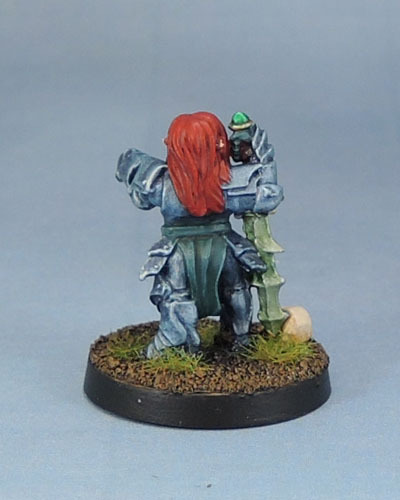 As such, I painted her armour with metallic blues with a sea-green/black tabard and gloves, and bright red hair as a nod to my old (non-dwarf) EQ character. Her sword doesn’t quite reach down to the ground (at least on my casting) so I hid it with a little skull at the front and a tuft of grass at the rear.